While in Medellín we decided to venture to Parque Arví, a large ecological nature reserve that sits just beyond the ridgeline above the city. After taking a “standard” Medellín Metro train north through the majority of the city we then switched to the super-impressive gondola-like Metrocable line. It was like loading a chair lift in Tahoe, but with a very different view below. 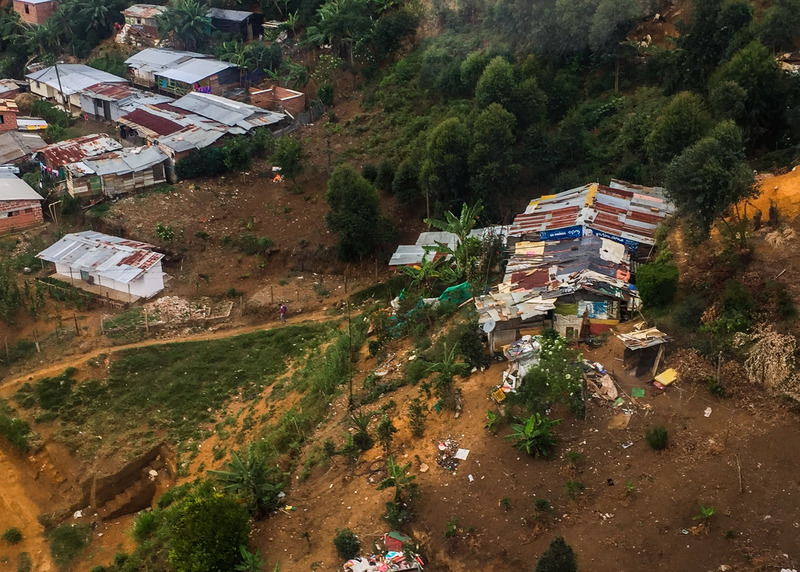 For about 30 minutes we floated high above the poverty stricken neighborhoods that cling to the hillside in northeast Medellín. The squatter communities are home to droves of individuals and families displaced by the ongoing civil war and drug-related violence in more rural areas. The Metrocable has been touted by many as a huge success for the neighborhoods that have long been home to extreme gang violence. Before the Metrocable was installed, it would take 2+ hours to commute to the city center from the barrios, and the journey entailed crossing through rival gang territory multiple times along the way. Now, for approximately 60 cents, residents can easily access jobs, schools, and healthcare throughout the city and crime rates have fallen significantly. 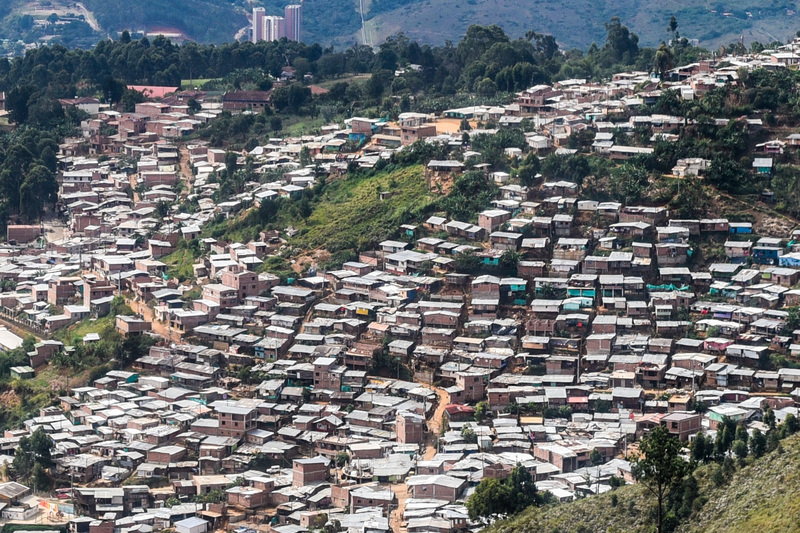 While there are dozens of similar communities around Medellín that would benefit from a Metrocable line of their own, it has certainly been a step in a very right direction. Now, with that, after a very long hiatus, I present this week’s Photo Focus – Medellín’s Metrocable.